I find the influence sales and marketing have on the design process fascinating. From my experience with covers for a children's book series I found it initially very frustrating that my more imaginative ideas were being squashed by sales and marketing. Well, that's how it felt at the time. I riled against the idea that a 'marketing' guy would know more about illustration and design than me. 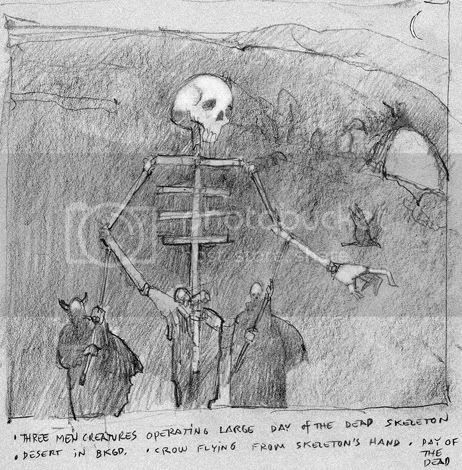 But overtime it dawned on me that they don't necessarily know more about illustrating but they do know what sells. In the world of commercial illustration you just can't be ignorant to the factors that make a books sell, and like it or not, the sales and marketing crew know their stuff! Andy - Exactly! I can almost think back on my early years at Tor as my professional teens -- when I was _so sure_ that I was right and "they" didn't get it. So dumb of me not to realize that everyone involved wants a successful product _and_ to do some work they are proud of along the way. And much more often than not, hen they push me things turn out the better for it. Eric - yeah! Can;t say I complained about _that_ part. And the great thing about this internet age, a painting like that can still be seen outside of it's initial purpose. It also got into the Society of Illustrators and Spectrum annuals...so it seems to be having it's own, nice, life. I really enjoyed reading this post, and mirror Andy Smith's comment. Gleaning some insight into what makes a good or marketable cover is thoroughly interesting and helpful to me as an illustrator. :) I hope to hear more! The marketing choice worked, though, because I'll definitely be keeping an eye out for that book on the shelves. ;) The cover alone is enough to intrigue me. Great Post! I really enjoyed seeing the proposed covers versus the finals and appreciated some insight into how that kind of process can play out. 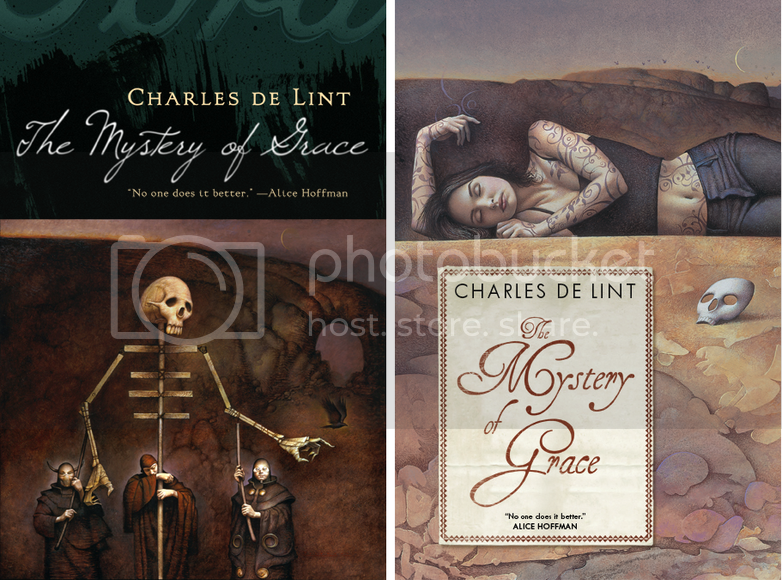 I hope to one day have an opportunity to do some book covers and this is great food for thought here. 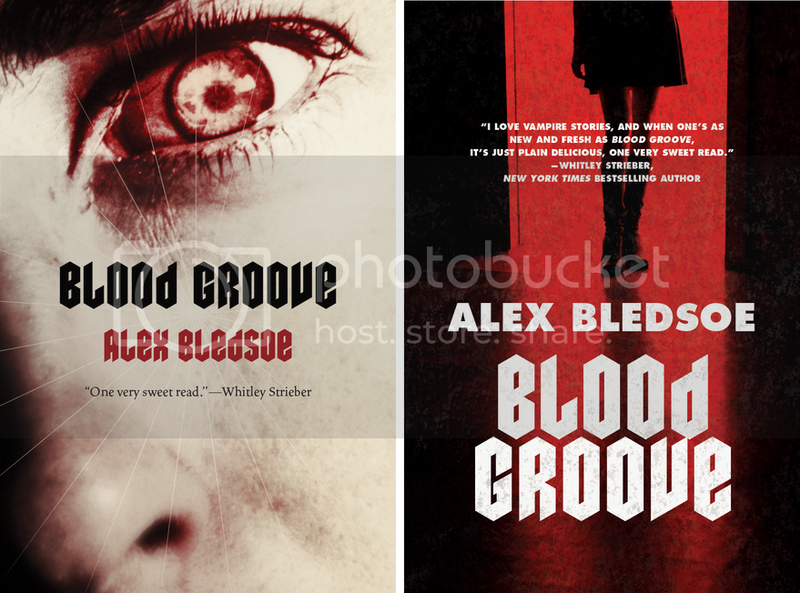 I also really enjoy the design on the Blood Groove "movie poster" version. Where it doesn't grip you as tight as the flaming vampire eye it pushes nearly all the focus on the title block and author name, drawing further recall of the title and not necessarily just the image. I could see someone discussing the book and recalling the title easier whereas I could see the contrary with the vampire eye cover. With that cover I could see someone recalling in this fashion, " yah you know the book with the crazy eye on the cover ... what was it called again... oh anyways you know." I enjoy both but feel the second version gives more to the title. Thanks for sharing these. Thank you for putting this up, Irene. It's so rare that we as readers or other illustrators get to see the stages which don't see the bookstore shelf, so to speak. I'm glad that the JJP piece is enjoying its own nice "life", though I always get vaguely sad when a less "risky" cover is passed over for shelf appeal. I know it's good for sales, but it's just me.